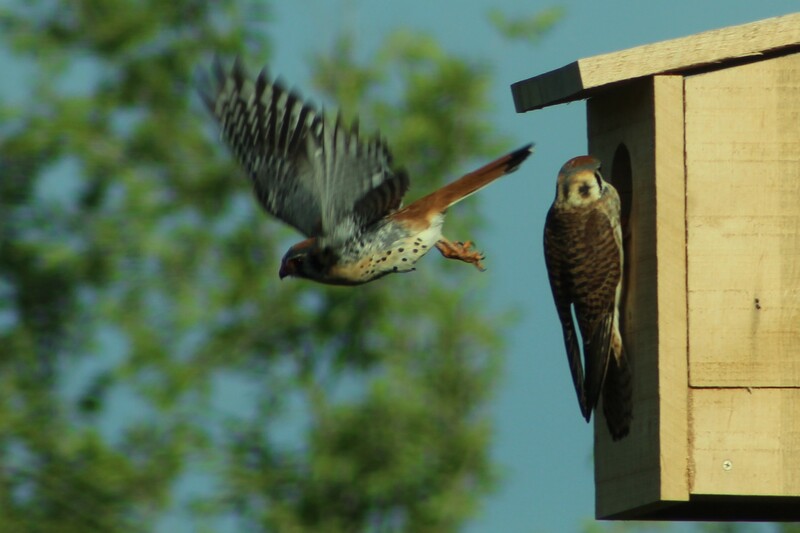 I am using the American Kestrel Nest Box Plan as designed by Art Gingert. 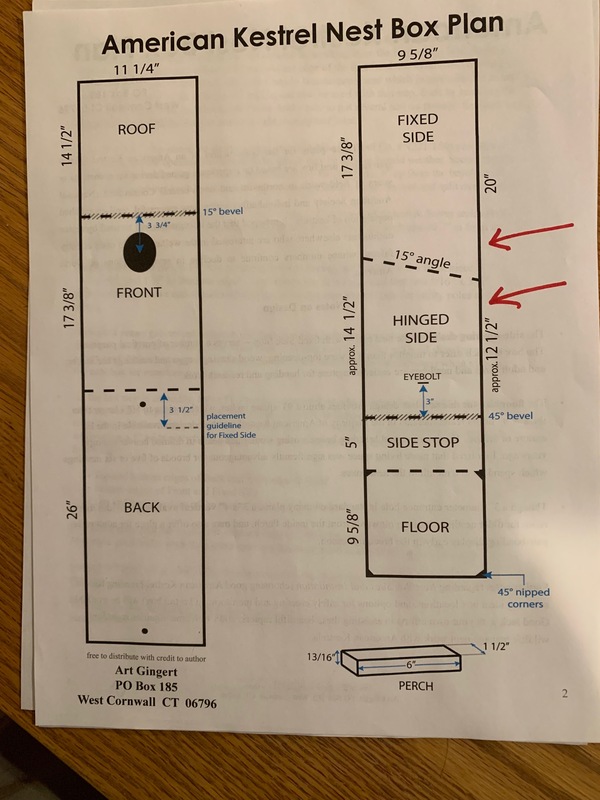 In the nest box instructions Art suggests using rough one side AWP. I have located this lumber at the local Home Depot. This lumber has a grooved finish on one side and a smooth finish on the other side. When you make the 15° angle cut that separates the fixed and hinged sides you end up with a problem. Assuming you make your cut with the grooved side up your outcome will be a fixed side with the grooves showing on the exterior of the box and the hinged side will have the grooved sides on the box interior. I would appreciate some feedback on this. Perhaps I am misinterpreting the plans. Posted in General Discussion by cnelson 2 months 2 weeks ago.